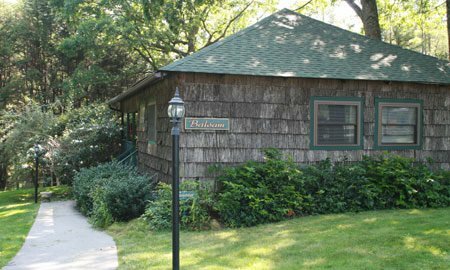 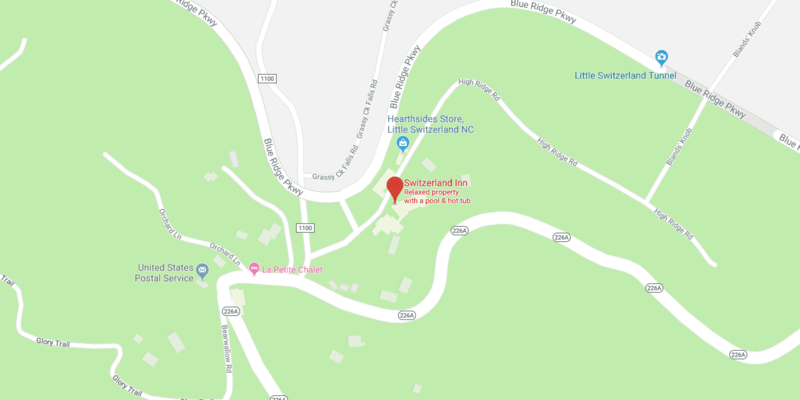 Learn about the history of Switzerland Inn. 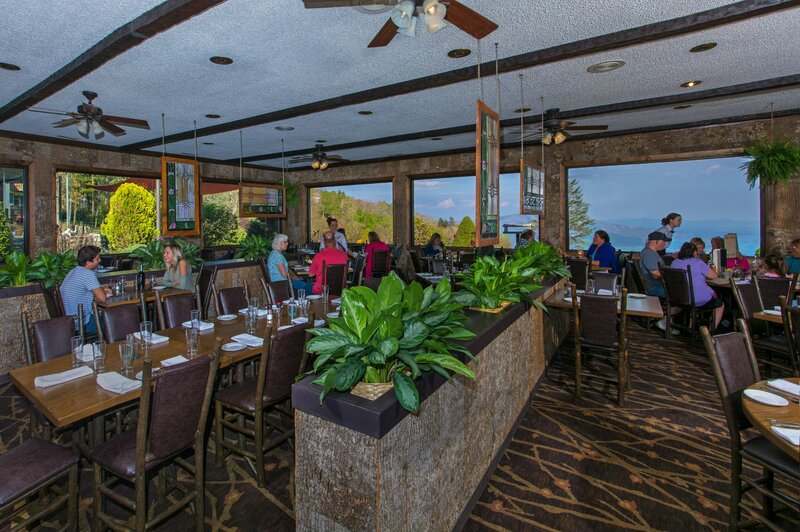 Switzerland Inn features two different restaurants plus a terrace with mountain views. 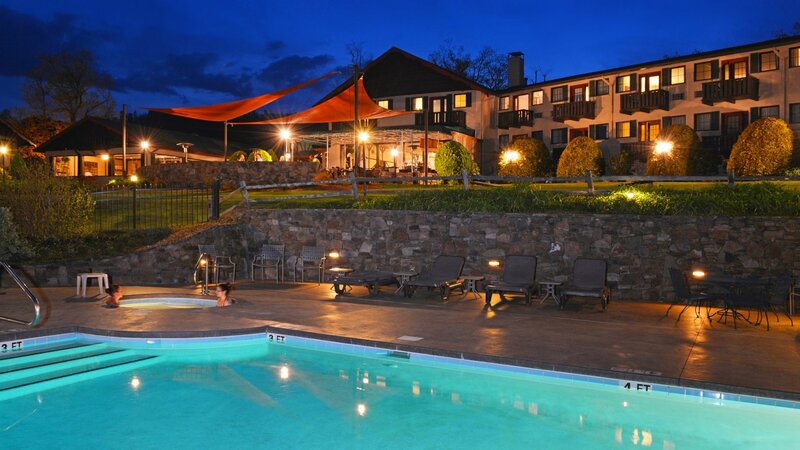 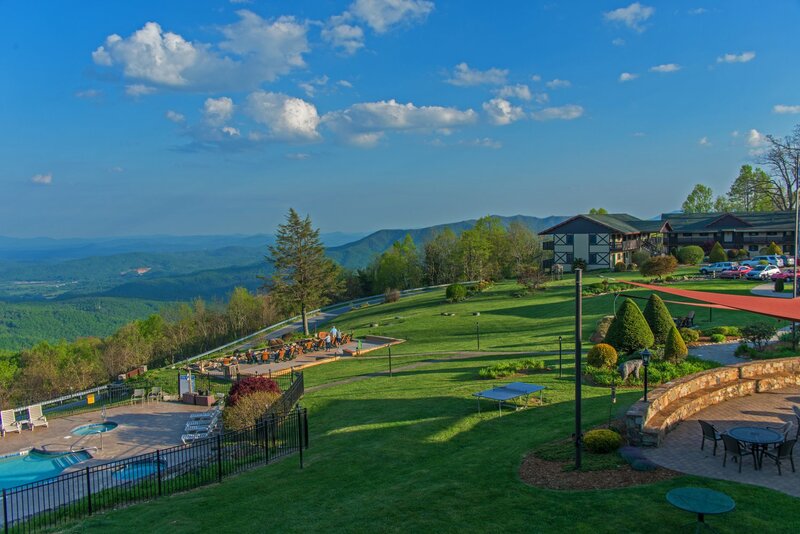 Nestled right alongside the Blue Ridge Parkway, there's plenty for Switzerland Inn guests to do in the area. 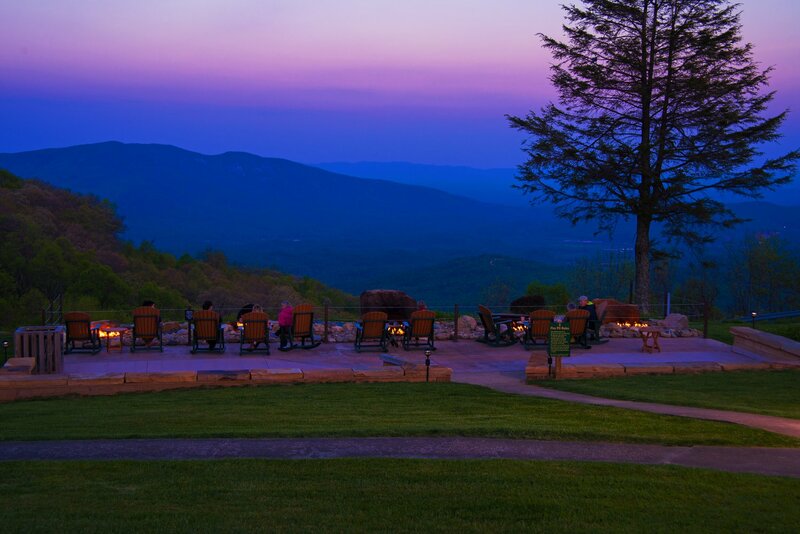 Located directly on the Blue Ridge Parkway at Milepost 334. 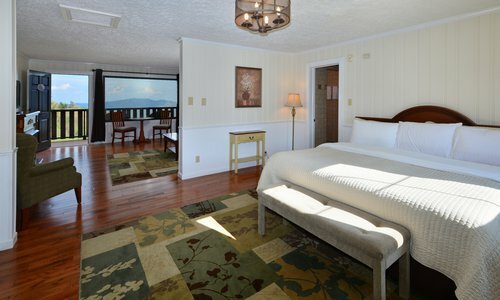 The guest rooms in the main lodge have richly-finished wainscoting and beautiful new furniture and artwork. 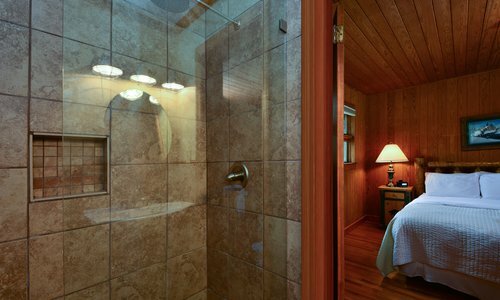 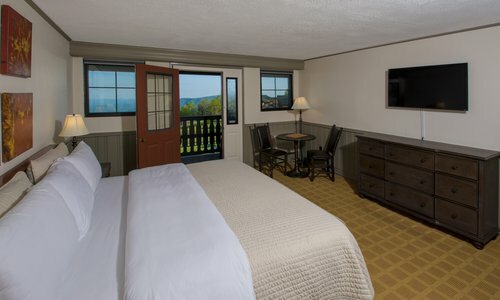 The Alpine suites are spacious, very comfortable and have sweeping mountain views. 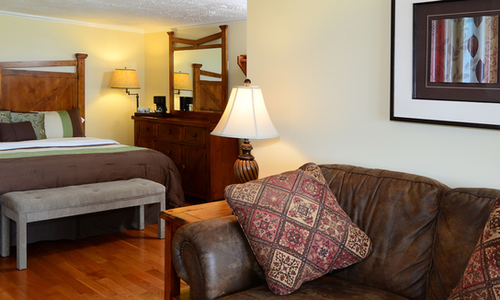 Recently renovated, the Heidi Suites are large with a king bed in the bedroom, sleeper sofa in the living room, gas log fireplaces and air conditioning. 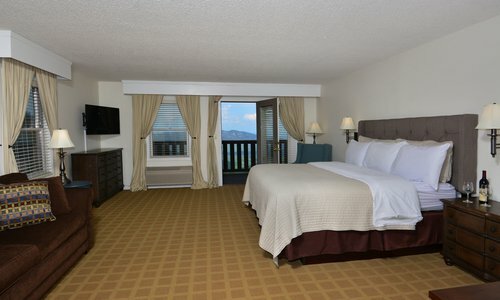 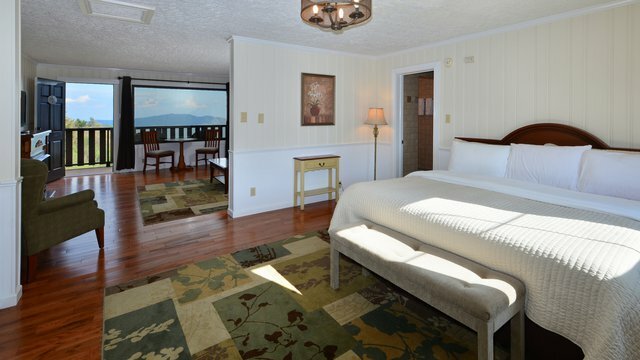 The rooms are large with a king or 2 queen beds and a sitting area with a sleeper sofa and wingback chairs. 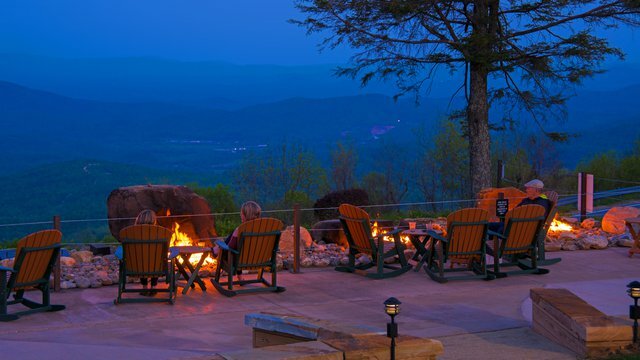 A-frames at Switzerland Inn in western North Carolina's high mountains are chalet style, pet-friendly units. 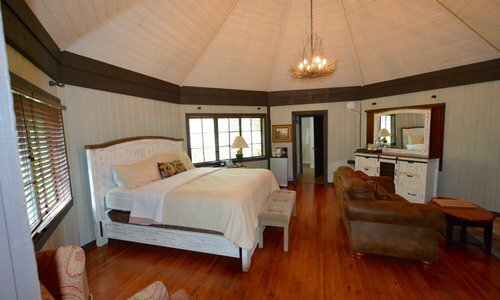 The unique round architecture gives the Caprice a fun and quaint appeal while featuring modern, comfortable amenities including a two person soaking tub in its own wing. 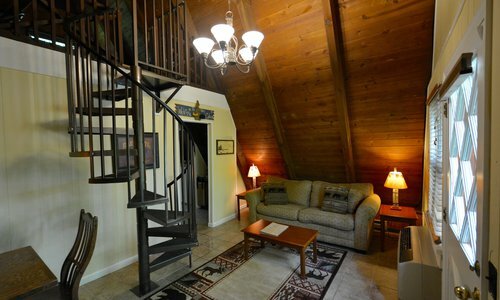 Separate living area, 2 bedrooms, 2 baths, 4 double beds, gas fireplace and front porch with rocking chairs make the Balsam Cottage ideal for a peaceful family retreat.